Since this is an Off Road Forum then trail running probably has it's place here. I've really been enjoying some trail running over the past year or so. I went to this one last year with a group of friends and had a great time. Not so many of us going back this year as it clashes with a few other events, but for anyone who enjoys camping, getting away from it all and running a few trails, it's a great weekend. I had an awesome weekend up there 2 years ago, missed last year but heading back up there for this one. I'll be preparing for Coastal High 50 in the Gold Coast hinterland this winter. Looking forward to the training. I feel ill be more prepared than any triathlon I've done. Just due to it being 1 discipline. Looks like a good one to do, but I think it clashes with the WC 70.3 on the Sunshine Coast. Might have to pencil it in for next year though if it goes alright. Doing this one (20km distance only this year, aiming for the longer one next year), haven't been in the Grampians since before I had kids so looking forward to getting back there. Yep, got some friends who did it last year and reckon it's the best trail run they've done. Unfortunately it clashes with a local Trail Marathon that I usually help out with. Might have to do a rebel run over the course on a different weekend maybe. I went for a run yesterday. And whilst cooling down and stretching I started talking to a lady who I found out through the conversation, is a trail runner/Ultra runner. She was cool as! Friendly and down to earth, awesome person. She's getting ready for the Big Red Run, sounded bloody serious! She was saying that the trail running community is very very laid back and helpful to be part of, I like the idea of trail running but I need to get rid of the Tri bug first. Maybe later in life? It would be great to get out into nature.
. I have two mates into. Both in their 50s and sub three hour marathoner level. Tough guys. They love it. And they are travelling to some crazy places for their runs! Looking to get into it when this knee gets better. I grew up running through Bunya Forest, and my fav run in recent years is the single track MTB stuff that they've built in there. It really is a great way to run. I like the idea of trail running but I need to get rid of the Tri bug first. Maybe later in life? It would be great to get out into nature. You can do both FFF. Just change your run training to forest running, and start with the smaller trail races. Have to agree with Ex, nothing wrong with mixing a bit of trail running and racing into your tri program. Growing up on the edge of the bush in Sydney, the trails were an obvious starting point for me when I started running as a teenager. You don't need anything special to get out there. Just a desire for a bit of fun and adventure, and a pair of road shoes are just fine. The softer trails are also kind on the body, the variation in terrain engages the muscles in a multitude of subtly different ways and you'll find hills in the bush that give the opportunity for some quality running. Fully agree Paul, much kinder on the body if you pick your tracks wisely and don't overdo it, and the overall conditioning is much better for injury prevention than pounding out endless k's on a flat path. It's also easier and much cheaper than triathlon as well and you don't even need to race to get some real enjoyment out of it. Just like in triathlon, I only do the races as an excuse to go to some nice places and meet up with some cool people. Looks like a good one to do, but I think it clashes with the WC 70.3 on the Sunshine Coast. Â Might have to pencil it in for next year though if it goes alright. My wife ran last year. It's a great event. Looking forward to. Couple of training runs out on the course in the next few weeks. Beautiful part of the world. Another thing to remember with Trail Running is that it is suitable for anyone regardless of their ability. Even the best guys still spend some time walking on some of the steeper uphills, and it's not a bad idea to even throw a bit of planned uphill walking into your training. All this talk about trail running is getting me keen to do some running again. Went out and did 20km this morning in Livingston State Forest with a few mates. Walked a couple of sections with one of the girls and soon caught back up to the rest of the group on the flats and downhills. Get out there and get into it FFF, it's worth it! Yeah, this is a good run. I wont do the event, but did the course a couple of times when i was training down there. Pretty spectacular course - but the weather can be suprisingly chilly on top, the climbs are steep, the steps big, and look out if its raining (slicker than a soapy slip n slide)! Early entries for the Nosh close tonight. 14ish km from East Linfield to Seaforth. Bunya Mountains or somewhere else? Bunyaville state forest. About 12 km north of the city. Awesome place to run. Has anyone done The Hillary? I'm keen for the 80km next year. Looks amazing! I've got some friends planning a very similar course as a rebel run, just for the fun of it. If you're fit and keen then let us know. The one thing that's better than going for a trail run, is going for a trail run in the rain! Better pack your wellies for Glow Worm Stem, it's gunna be a wet one! I'm officially in for 2 Bays in January for the 28kms. Yep another great run. Maybe not as spectacular as the Wonderland run, but enjoyable and well run just the same. Thought I would hide this in here for the real trail runners. Im not sure Ill be able to get to a point where I will be able to do the Coastal Classic. Life has conspired against me and while I want to try and train like Im doing it, I dont think I will do it justice and may not even get near to the distances I want to do to make it a decent run. Pretty sure entries are transferrable so if anyone is keen let me know and Ill keep you posted. The faster guys do the 75km in under 8 hours! That's a pretty quick hike... toughen up princess! . But yes, Mystic Mountain & Clear Spot are ridiculously steep and virtually impossible to run up. Who care's if it's running, hiking or stopping to smell the flowers, it's still one of my favourite events. Second best event I've ever done, 4 stages of different distances over 4 days on brilliant trail (river beds, gorges, mountains for sunrise!). Sounds good, but now you've got me interested... What's your favourite event??? Unfortunately we aren't in there league , well I'm not anyways!!! Sorry I missed you Go Easy. Brilliant conditions for a run on Saturday . I left in the afternoon, but looked like it was going to be ok Sunday morning before the rain. 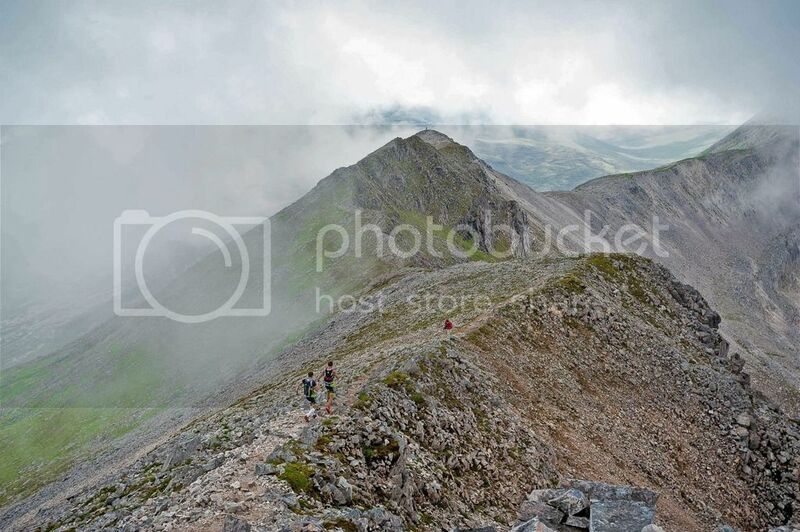 Goretex Transalpine Run, will likely be the greatest experience of my life. My wife and I teamed up to do this in 2009. They have changed the course a bit, but the year we did it, it was an 8 day stage race along the European Alps from Southern Germany, through Austria, Switzerland and finishing in Northern Italy. Just on 270 k's with I think 16000m ascent. Generally two serious climbs a day, and the climbing was OK but the altitude was the killer, especially when you live at sea level and the best you can do is train in the Blue Mtns at about 1000m. From memory we topped out at just over 3000m on day 6. Same day we ran in snow and ice at the top and 30degrees C down below. Absolutely rocking party and presentation every night at the end of each stage put on by the village we stayed in. Would love to do it again but at 54 just can't get back to that level of fitness which was at least a year in the making. Nowadays I find parkrun extreme! Liz does much harder stuff now travelling the world doing multi day expedition races. I did post a race report on here when we got back in 2009 but can't seem to find now. Will keep looking. If ever you can, do it! Looks good. Not sure that I can do it, but I reckon I'd rather do this than go back to Kona! Just registered for the Yarrabilba Trail Fest in August. 40% discount for those registerd for CH50. So $33 for a 21km run. Can't beat it. Thought I was getting the hang of descending. Nothing like a rocky fire trail to bring you back down to earth literally. I thin fatigue had set in and I didn't get my left leg up over a rock. Tumble taking skin off my back and knee. Was loving the run though. I did Polly's in the Gold Coast Hinterland with some flatter running in the Numinbah valley as well. Know exactly what you mean... Sounds like me a week ago at the 30km 'Gungahlin Gallop' Trail Run. I went down three (3) times and it knocked the crap out of me! Bark off my face and knee and then landed with my chest on a big rock. Not sure if I've damaged ribs or cartilage but it's bloody painful. Last week was a 'dot' week of no training and I've only had a couple of those in the past three years. There's been a few weeks where I'll only only do one or two runs, but last week I was unable to breath in deeply so couldn't do anything. No regrets, the 'Gungahlin Gallop' was a great event and this is just the price you pay for pushing too hard. We live to fight another day! . Had a trundle on the Coastal Classic course yesterday. Heaps of changes since last year. Main changes are: after leaving the Palm Jungle that narrow trench has been replaced by an elevated track, more elevated track at many other places, the small gorge towards the end where you use to have to climb up the rocks has been replaced by sandstone steps as well other steps added on the leadup, the rough fire trail just before the last aid station has been graded smooth. It will make for a quick race, I predict PB's all round. Had a trundle on the Coastal Classic course yesterday. Was really keen to do this one when Roxii said he might have a spare entry, but it's also on the same weekend as the 70.3 at Mooloolaba so I'm out. A couple of friends have done it previously and said it's spectacular course, so with the changes you've noted it should be a brilliant. Definitely want to do it as a Rebel Run one day, not fast but just do it as a group and enjoy it. It's certainly spectacular. I did it with a small group and had a top day. Surprised how good I felt at the end, probably due to taking it fairly easy. Good confidence builder for CC. Please keep us posted if you hear any more. Put a bit of trail running into a triathlon - part of the Celtman run course at about the 19k point and once you've climbed the first munroe. Course goes all the way to the right along the ridge line and up another peak before coming back to the saddle where you descend via a scree slope.